Koei Tecmo’s first Attack on Titan game was a surprisingly great adaptation of the hit anime and manga series, with fast-paced and unique gameplay and better than average online co-op. 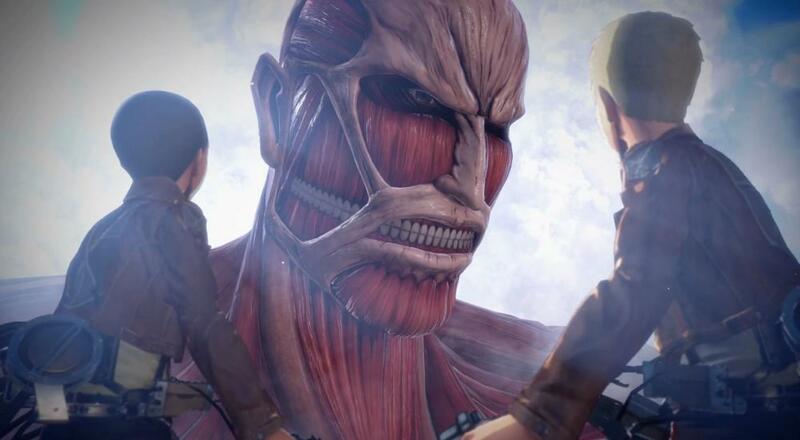 Less than two years later, Attack on Titan 2 has arrived on Xbox One, PlayStation 4, Switch, and Steam. The sequel features another strong campaign and several new features, but its online co-op mode is less than titanic. 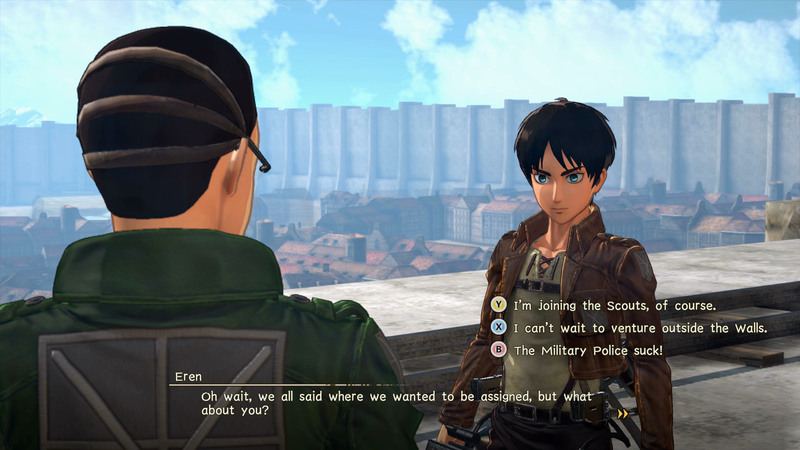 Before you can access Attack on Titan 2’s online co-op and competitive modes, you’ll have to spend 45 minutes or so creating your own custom character and completing a single-player tutorial mission. The character creator is fairly robust, though clothing and body types are limited to options that fit within the Attack on Titan world. This custom character becomes the sole protagonist of the campaign, a big departure from the first game. The campaign narrative follows the story of the first two seasons of the anime, which means several of the same beats (and even the tutorial) are repeated in the sequel. But since we witness the story from our own character’s perspective, it ends up feeling different enough. 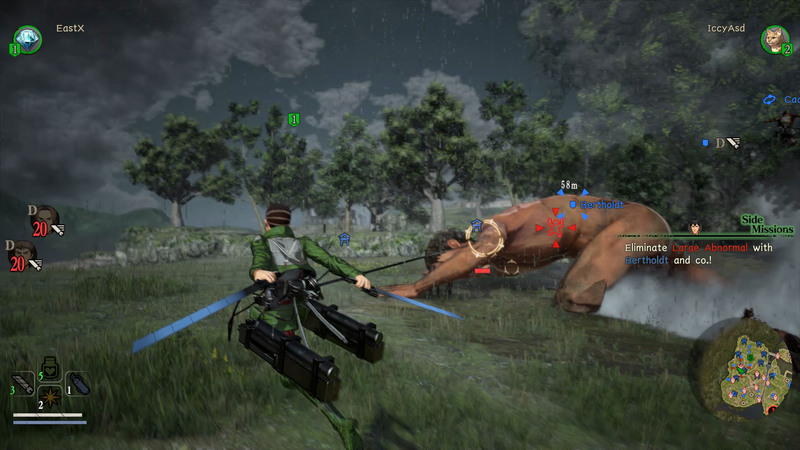 Attack on Titan 2’s core gameplay closely matches its predecessor’s, in that you play as a scout (soldier) tasked with eliminating gigantic, carnivorous, and derpy monsters called Titans who threaten humanity with extinction. You’ll still swing around cities, forests, and ruins using the Omni-Directional Movement Gear (ODM), gas-powered harnesses that fire grappling hooks into the environment and propel the wearer forward. It feels great, not unlike swinging around in a Spider-Man game. Virtually every mission involves finding all of the lumbering Titans on a Dynasty Warriors-style map and eliminating them. Once in range of an enemy, you’ll switch to combat mode with the press of a button and then latch onto the foe’s arms, legs, or neck. Zoom forward at high speed and hit attack at the last second to deliver a blow, damaging or severing the targeted limb. Amputee Titans still pose a threat, so you’ll need to strike the backs of their necks to stop them once and for all. Attacking multiple parts of a Titan in a continuous fashion (without hitting the ground) has gotten harder in the sequel, thanks to slightly revised controls. But the combat still feels great after you get over the initial learning curve. A couple of new moves called the hook drive and sneak attack aim to add depth to the combat, but you’ll probably rely on the core attacks for the most part. Players can now erect a limited number of offensive and defensive towers on some maps as well. Between campaign missions, players will sometimes visit a base camp filled with NPCs from the show. 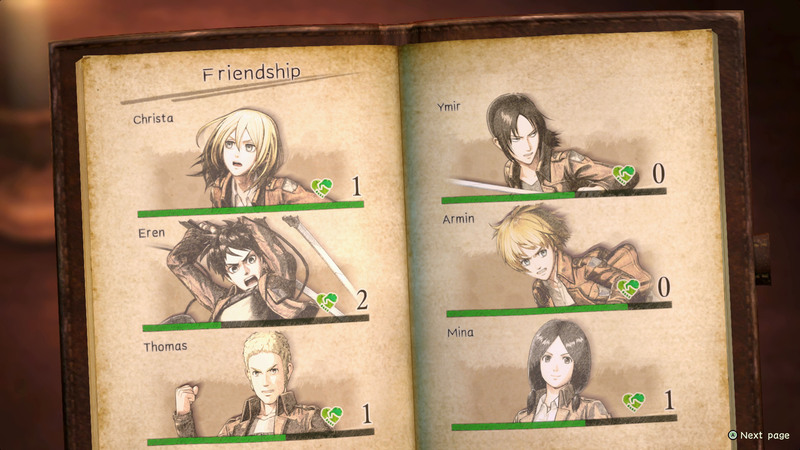 Attack on Titan 2 has a brand-new relationship system that encourages you to seek out and interact with your fellow scouts. These conversations lead to amusing vignettes and conversations that flesh out the characters and world. You’ll also make dialogue choices (and even send gifts) that can level up your relationship with the various NPCs. This, in turn, unlocks their unique skills and stat boosts for your custom hero. It’s a fun system.